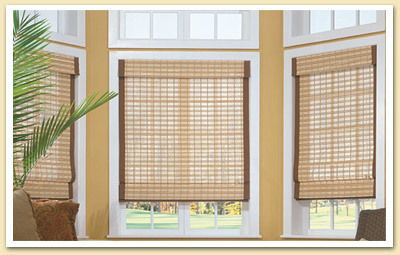 Woven Wood Shades – Window Designs, Inc. 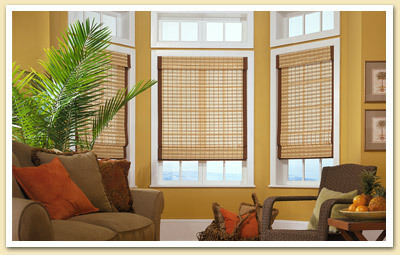 These popular products are made from select natural woods, including reeds, bamboos and grasses, woven wood shades are uniquely textured, adding casual good looks to any room. 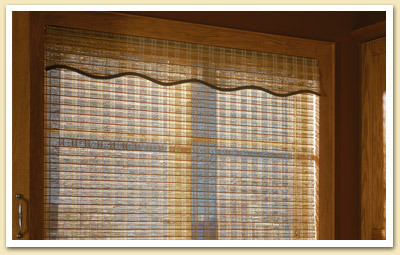 When lowered, these woven wood shades lie flat; when raised, the woven woods hang in even, overlapping folds providing that classic Roman fold look. Now available with a hobbled style fold that maintains the gentle folds while the shade is in the down position—a must see! 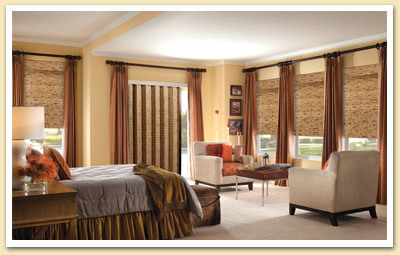 These products are light and versatile with the ability to bring any room to life for that special warm feel. All brands are available.